Unless you’ve been living under a rock, you’ve probably heard that there is a funding and staffing crisis with the NHS. It’s a heavily political subject, and the purpose of this article isn’t to discuss the politics, but to present an argument that part of the NHS problem can be solved through technology. When Jeremy Hunt talks about the solution to the NHS deficit he often suggests it will be a result of ‘improving efficiency and productivity’. There is some evidence coming through to support this view, but as this Telegraph article about fully automated surgeries shows, the machines aren’t completely ready to take over just yet. So how can robotics and automation help to mitigate some of the problems with short-staffing and under-funding within the NHS? One of our clients, OR Productivity, has invented FreeHand, a robotic camera that helps a surgeon to perform more accurate keyhole surgery, allowing them to control their field of vision with just a nod or turn of their head. It’s a more cost-effective alternative to the Da Vinci fully automated surgery robot mentioned in the Telegraph article. FreeHand still requires a surgeon, but it eliminates the need for an assistant to hold the camera, resulting in a much more stable image that allows the surgeon to work faster and provide a more accurate surgery. The NHS is a people-powered entity. It is funded by the people through taxes, and it is run by democratically elected governors, supported by a passionate and dedicated workforce. So the notion that machines might be taking over crucial roles is a highly divisive subject. However, the fourth industrial revolution is well underway, which means automated technologies are set to take over nearly 50% of current jobs by 2034. The NHS is not immune to this labour paradigm shift. Progress in adopting automation and robotics has been slow in the UK compared to other developed nations. According to an article by the Centre for Policy Studies, the UK only has a robot density of 71 per 10,000 employees in manufacturing, in stark contrast to Germany’s 301 per 10,000. Productivity compared to the other G7 nations is around 20% lower in terms of GDP per hour worked, which is a direct correlation with the robot density figures. So the stats are showing us that it’s a dangerous strategy to allow us to be left behind in the automated technology stakes. The UK has an abundance of innovative thinkers and engineering visionaries, so it’s not for lack of opportunity. You can argue that the UK’s small manufacturing base has affected automation investment in the UK. However, manufacturing is simply an early adopter of automation, and with the advent of AI and machine learning all other sectors will soon follow suit, including the finance and health care industries, two areas where the UK punches well above its weight. It’s an important consideration for investors if the UK is to stay near the front of the global business stage. We don’t need to make the robots, but we do need to conceive them, and we do need to own them. I was sent this article recently, which makes a point about why you should invest in robotics if you’re worried about losing your job to automation. It includes a great anecdote about the owner of a small chain of grocery stores in New Jersey. Instead of investing in his own business, he invested all his profits into Amazon. And now ‘Amazon is up over a thousand percent over the last ten years, and <jersey accent>he don’t need the stores no more.</jersey accent>’. OR Productivity has been proven to make efficiencies in time and money, therefore cutting waiting times and improving surgery outcomes. They are looking to expand into more hospitals, for which they are raising funds through crowdfunding on the dedicated life sciences platform, Capital Cell. I believe crowdfunding will have an integral role to play in the funding of health technology solutions in the years to come, which will allow everyday investors to benefit from the advent of the fourth industrial revolution, where in the past only career and institutional investors have been able to share in the spoils. Additionally, the democratisation of early stage investment will help in driving forward the speed at which these innovative companies can bring their solutions to market. This is why TribeFirst has teamed up with Capital Cell, to help accelerate the future of health care. 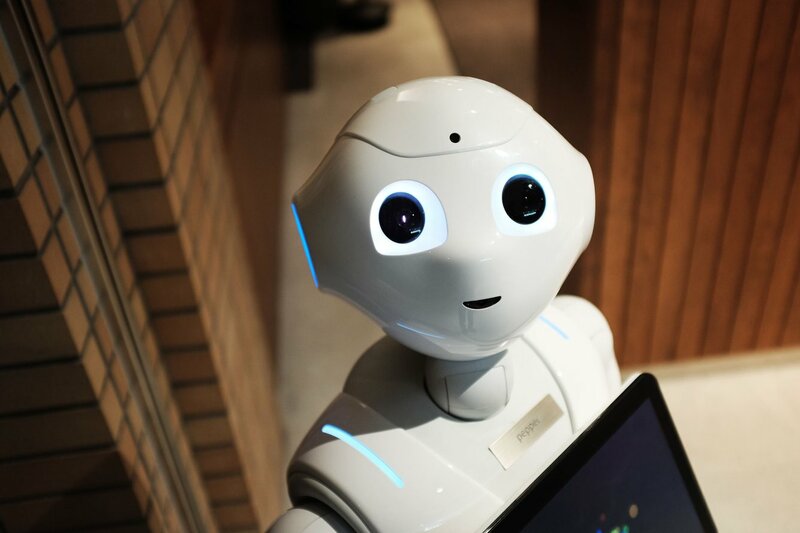 So while the robots aren’t quite ready to take over completely, there is a time in the near future when they will be omnipresent, and as essential to the fabric of a free health care service as the people of the NHS are today. You can argue that investing in these technologies isn’t just a sensible financial decision, it’s also an urgent moral decision that could help save the NHS as we know it. Thanks to crowdfunding, both sophisticated and everyday investors alike can back business they believe in, and in the process help drive forward the future. And that’s the great thing – for the first time in history virtually anyone can be a part of it. Disclaimer: The content of the article is the personal opinion of the writer only, and nothing in this article should be taken as advice to invest in the early stage businesses mentioned within. TribeFirst is employed by OR Productivity to assist with marketing and PR during their fundraising activities.